James Bond - The Secret Agent: I am amazed by you kind support! 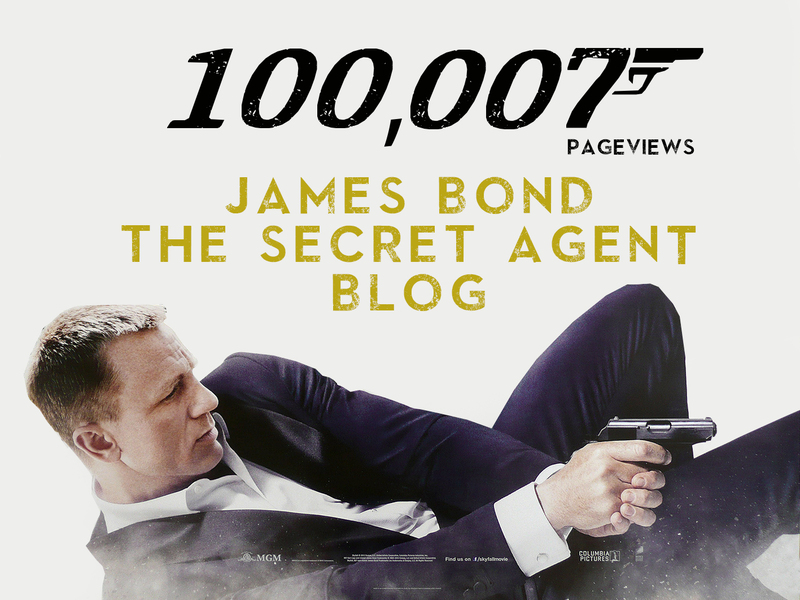 The James Bond - The secret agent blog has now past the mile stone of 100 000 pageviews. This is so amazing and nothing that I would have dare to dream of when I started the blog. This blog is not an ordinary James Bond blog since I concentrate on the novels and books about the films. This blog's purpose is only to write about what can be read about the world of James Bond. I therefore wish to say thank you so much for your kind support. It took the blog 14 months and about 110 blog posts to reach this far. I would like to take this opportunity to mention how you can make sure not to miss any blog posts using Facebook. First of all you need to follow the blog on Facebook just like 767 other people. The link can be found here. Then you just have to visit the Facebook page and choose FOLLOW and ALWAYS ON TOP. By doing so our Facebook content will always start on top when we have posted anything. But dont be alarmed it will only happen once for each post and the blog only promotes new content on the blog or occasional great opportunities on Ebay that we promote when we see them (at no economical benefit for me). I do the above to follow my friend John Cox over at The Book Bond and it works great so try it you to and make sure not to miss out. You can also follow the blog on Instagram were you can see photos of my book collection.